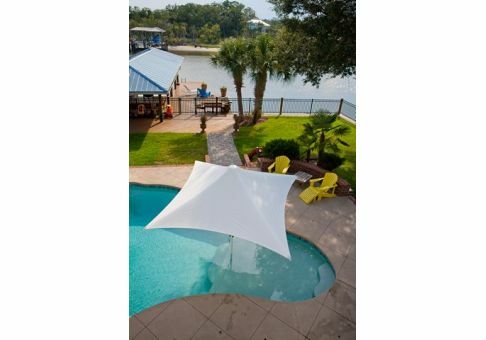 The 12 ft. Skyspan Sunset Square Structural Umbrella is engineered to withstand substantial sun exposure and winds of up to 75 mph when open. 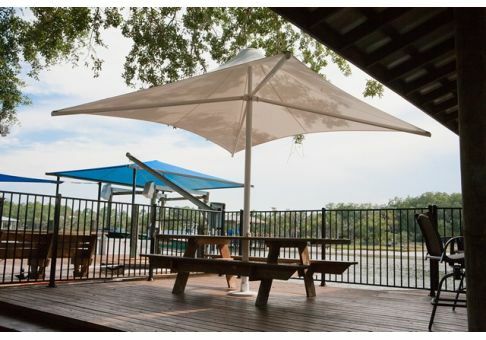 The Skyspan Sunset Umbrella features a durable powder coated aluminum frame with stainless steel hardware, making it ideal for marine environments. 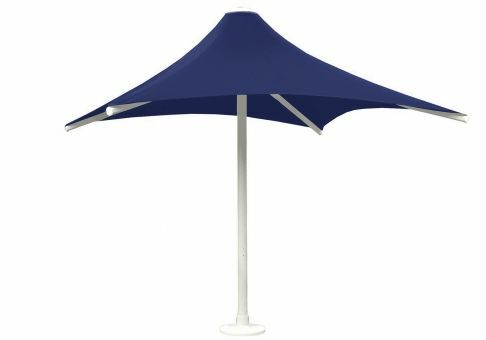 Skyspan Sunset canopies are extremely strong, constructed of flame-retardant, water-repellent 17.4 ounce Ferrari Precontraint 502 fabric offered in wide range of stunning colors. While these umbrellas are designed to endure a variety of inclement weather conditions, they can be easily retracted in approximately 30 seconds with its removable crank handle. Once retracted, the Skyspan Sunset can tolerate winds of up to 93 mph. The Skyspan Sunset is perfect for restaurants, hotels, and even in your own home.